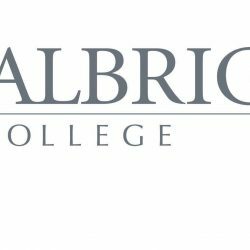 Reading, Pa. – Jeffrey Rosen, president and chief executive officer of the National Constitution Center in Philadelphia, will present the 38th annual Leo Camp Memorial Lecture at Albright College on Tuesday, Oct. 24, at 7:30 p.m. The lecture, “The U.S. Constitution: Honoring the Past, Imagining the Future,” will be held in Albright’s Memorial Chapel. Co-sponsored by Albright and the Jewish Federation of Reading, the event is free and open to the public. From drones to Facebook and Google, new technologies are transforming the shape of privacy and free speech. The U.S. Supreme Court this year will confront a path-breaking case about the future of digital privacy, but lawyers at Facebook and Google will have as much to say about the future of free speech and privacy as Supreme Court justices. In this talk about the U.S. Constitution, past, present and future, Rosen will discuss how to translate constitutional values of free speech and privacy into a digital age. In addition to serving as a professor of law at The George Washington University Law School, Rosen is a contributing editor of The Atlantic. His latest book, Louis D. Brandeis: American Prophet, was published in 2016 on the 100th anniversary of Brandeis’s Supreme Court confirmation. The Leo Camp Memorial Lecture was established at Albright by the Jewish Federation of Reading as a lasting tribute to Leo Camp, humanitarian and respected business and community leader in Reading. The lectures are presented annually to explore topics of significance in Jewish culture that add to the enrichment of the entire Reading community. Rosen joins a distinguished roster of Leo Camp Memorial lecturers that has included Elie Wiesel, Chaim Potok, Amos Oz and Wolf Blitzer. For more information, contact the Jewish Federation at 610-921-0624.